Dallas, TX, November 20, 2018 – Janet Elkin, President and CEO of GHR Healthcare, the parent company of General Healthcare Resources, has been named to the 2018 Global Power 150 and the 2018 Americas 100 lists by Staffing Industry Analysts, recognizing the top female leaders in the staffing industry. This is the fourth year the list has been compiled and her fourth time for being included. Dallas, TX, October 30, 2018 – Janet Elkin, President and CEO of GHR Healthcare, the parent company to General Healthcare Resources, will be a featured speaker at the 16th Annual Healthcare Staffing Summit being held in Denver, Colorado this November. The theme of this year’s conference is ‘Excellence in a Time of Change,’ with Elkin’s session entitled ‘M&A: Non-Financial Matters After the Deal,’ which will examine the opportunities, advantages, and challenges facing organizations, and the leaders, after the M&A dust has settled. 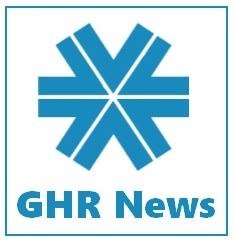 Plymouth Meeting, PA, July 10, 2018 – General Healthcare Resources, a subsidiary of GHR Healthcare, announced today that they have been named the exclusive Managed Services Provider (MSP) partner to OccuVAX, one of the country’s leading providers of onsite influenza vaccination clinics. Dallas, TX, November 10, 2017 – Janet Elkin, President and CEO of GHR Healthcare, was a featured speaker at the Client Panel and Networking Event co-sponsored by EmpowerHer Women’s Business Resource Group and Capital One’s Commercial Banking Group, held in New York City recently. Houston, TX, May 10, 2017 – GHR Acquisition, a Houston-based healthcare firm, has announced the acquisition of General Healthcare Resources (“GHR”), a mid-market healthcare staffing company with offices in Pennsylvania, New Jersey, Delaware, and Florida.